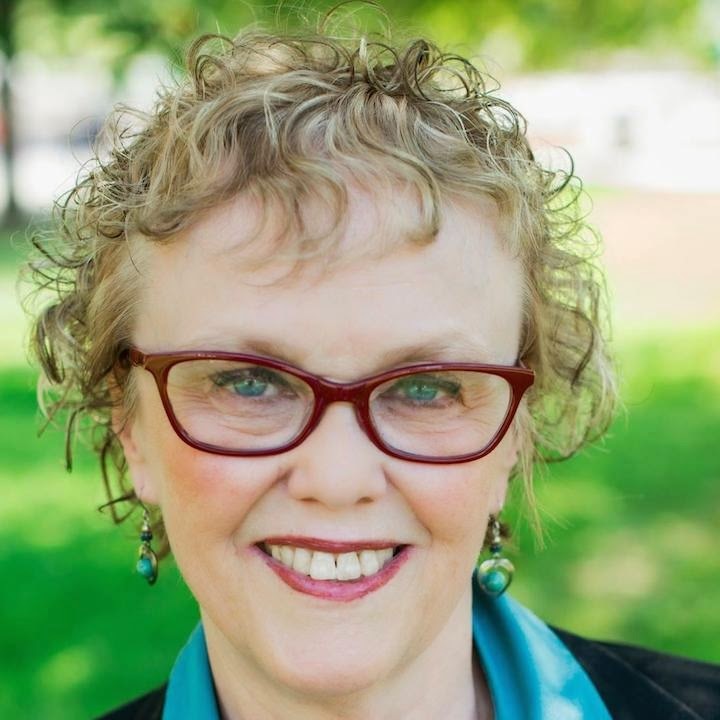 Recently, the Pullman District in Chicago made the news when the historical factory and residential district was designated a national monument after an announcement was made of nearly $8 million in local donations to support site projects. In 1858, George Pullman manufactured the first railroad sleeping car, and Pullman’s company soon expanded by building quite opulent sleeping cars for well-heeled passengers who had to travel long distances to conduct business or to travel for pleasure. 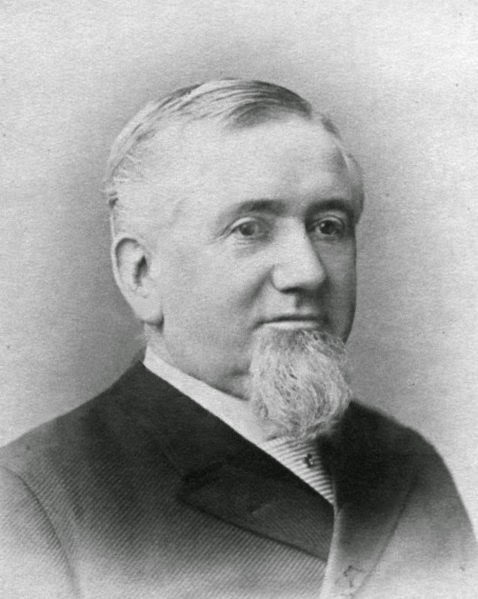 In 1879, Pullman purchased 4000 acres of land about 15 miles south of the Chicago loop and began building a town for his employees, only steps away from the factory where they were employed. The development included 1750 company-owned homes, a church, a school, offices, stores, a library and a bank. A hotel, named after Pullman’s daughter Florence, provided accommodations for the business executives that came to meet with Pullman. The company’s administrative offices were housed in a large clock-tower building that dominated the downtown area. By 1885, almost 9000 people lived in the homes that ranged in size and style, the higher ranking employees getting the largest units. The development was Pullman’s utopian dream as he saw it as a way to keep his employees protected and provided for. Included in the rent was gas, water and complete sanitary facilities, along with garbage pickup. Front and back yards provided personal outdoor privacy, while parks and open lands gave opportunity to socialize with neighbors. Maintenance of the residences was included in the rental prices. 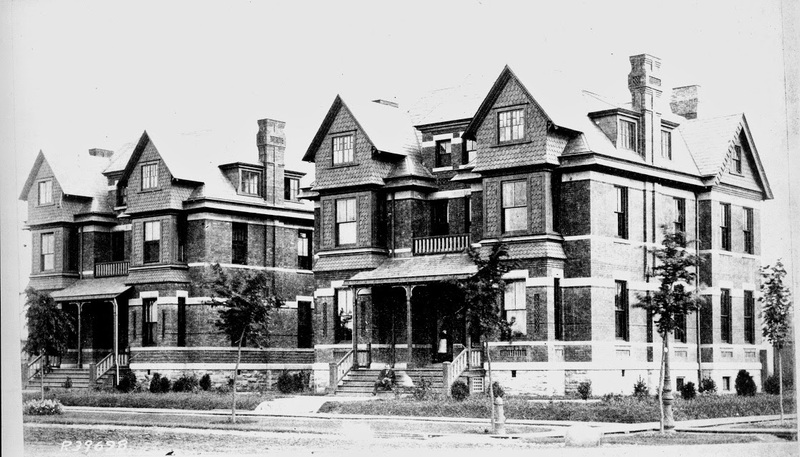 By 1892, 20,000 people called Pullman home. The same year Market Hall, which housed many shops, burned to the ground, and the following year, a depression hit the country. Pullman lowered employees’ wages, but did not lower their rents. The employees called for a strike which turned deadly when 13 people were killed in riots. President Cleveland had to send federal troops in to restore peace. Pullman died in 1897 and the following year, the Illinois Supreme Court ordered that land not used for factories must be sold. It wasn’t until 1907 that all the residential properties were sold. Years later, in 1960, the Pullman district escaped demolition for an industrial complex when the Pullman Civic Organization was formed. 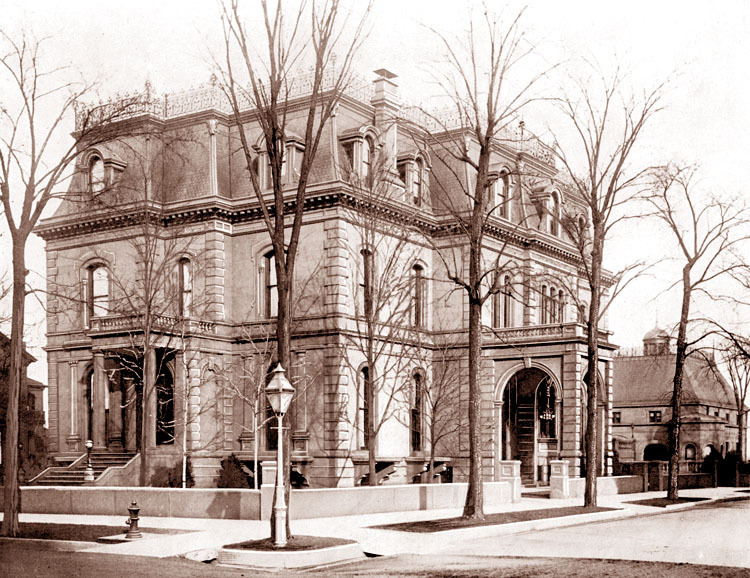 Pullman's own manion on Chicago's historic Prairie Avenue (not in Pullman). A current neighborhood in Pullman. Resources for this post are worth checking out for more information. Use the links below to get there. I didn't realize the history behind Judith Miller's Pullman series.Her In the Company of Secrets drew me and I enjoyed all three books. Your post today made it even richer. I'm gonna have to check out the Pullman District next time I'm in the Chicago are. THANK YOU. I had to look up Pullman's history on the Internet. So interesting, with a sad end.